the latest round of the NSG meet. The transiting Moon, as per the Indian Vedic Nirayan system, today is debilitated. Moon is the Lord of the third house of India. The third house indicates treaties and communications as well as negotiations. This means that the Lord of India’s third house of communications, negotiations and treaties is weak, implying India’s fortunes today will be restricted regarding any kind of treaty. Additionally, transiting Ketu and transiting Chandra are in applying Trine aspect to each other, while transiting Moon and natal Ketu are in conjunction with each other and transiting Ketu and natal Chandra are also in applying conjunction. Ketu, as we all know, has the power to eclipse Moon, the significator of mind and mentality that can lead one to misleading perceptions and analysis. This may thus have a marked impression on the other nations involved in the meeting today. This also means that India will not be able to communicate properly and in fact whatever it says or who so ever represents India will be misunderstood by other nations. 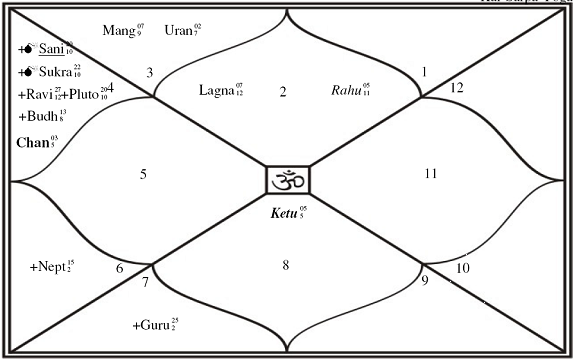 Top this with today’s Part Of Fortune being associated with the second house, the sixth house, the eighth house and the twelfth house of India’s natal chart. All these houses are houses of evil, misunderstanding and failures and POF is rather in soft aspects to these houses, indicating India’s loss. Finally observe that today’s POF is in conjunction with India’s MC. Ganesha feels that the outcome today may definitely not be in favour of India. There will be many compromises to be made a lot of restrictions too may have to be agreed upon. As POF in conjunct MC, what India wants may be granted to a certain extent too, but definitely with a host of restrictions and counter guarantees.